Director KV Anand: 'Vijay - Mass + AR Murugadoss - Class'! Actor Prabhu Dheva gets Sonakshi drunk! Actor Suriya to rock as Vimalan and Akilan ! Few days back microblogging sites witnessed a small brash in between a Suriya fanatic and ARM Murugadoss. 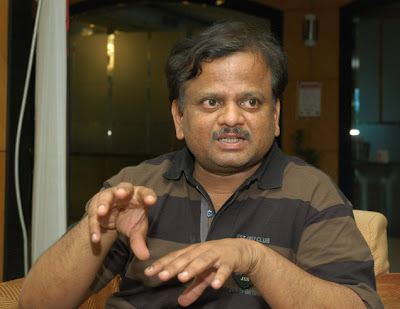 Now KV Anand has diplomatically reacted stating "Vijay - Mass + AR Murugadoss - Class, as a fan I can't wait to watch Thupaki'! Earlier a Suriya fanatic tweeted AR Murugadoss - "Maatraan going to rule this year... Others just stay away from it... Suriya = Class + Mass". ARM promptly replied to this, "Paappa thalli poi vilayadu" (Kid, go play elsewhere). Remember both the films are aiming for an August 15 release. 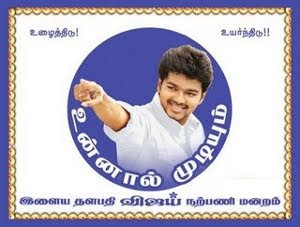 It may be mentioned, last year Diwali, both Velayudham and 7aum Arivu released together. Everyone might be raving about the way Sonakshi Sinha has presented herself in the song, Govinda… for Akshay Kumar's Oh My God!, but there's a little secret behind that 'uninhibited me' look of hers! We hear that Sonakshi was able to flaunt her dabangg self onscreen, all thanks to Prabhu Dheva. A little birdie tells us, "Even though Sona was brilliant when it came to dancing, she was a little withdrawn with her expressions. And Prabhu Dheva, who choreographed the song, was not too pleased with it. So, to get the jhakas Sonakshi on screen, he mixed bhaang to her drink. And needless to say, the Shotgun Jr shed her inhibition and danced like never before. When PD told her later about what he'd done, Sona didn't know how to react!" Finally director K V Anand has revealed the secret about Maatran. Yes, the first look and teaser of the movie was released in Chennai. Suriya plays a conjoined twins(Vimalan and Akilan) in the movie, being produced by AGS Entertainment. Speaking at the event, Anand said, ' the Ayan team includingh Suriya, Harris Jayaraj, Suba and myself are back. 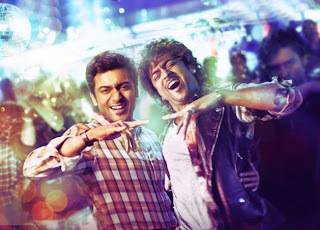 Maatran will be more special for it is a Suriya's special. He plays a conjoined twin which is no easy task. The effort an actor has to put for two films is what Suriya has given for Maatran'. He said the idea to do a movie on conjoined twin was in his mind for a long time and was waiting for an appropriate time. It needed a strong technical backing and a huge production cost. Thanks to AGS Entertainments, it has become a reality'. On his part, Suriya heaped laurels on Anand for coming up with an innovative story. He said, ' whenever I felt whether I could pull it off, Anand gave me the courage. It was a challenging role and I enjoyed the experience'. 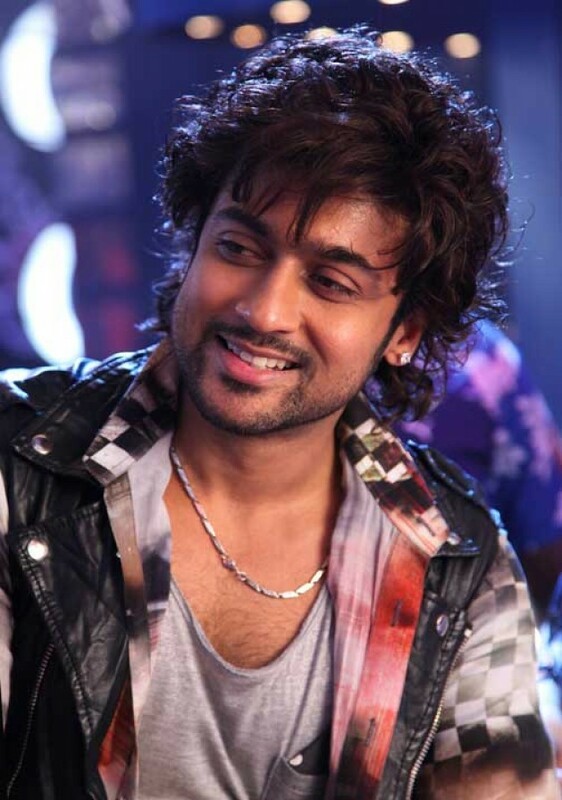 Suriya plays two contrasting characters. While Vimalan of the conjoined twin is a soft-spoken youth with communist ideology, Akilan if a fun-loving freaky youth. Anand said, 'plans are on to release the audio soon, while the movie Will be released once the huge computer graphic works are completed'. The Tamil action thriller is almost complete, post production is on and the film will soon hit the theaters. Aadhi Bhagavan is written and directed by Ameer Sultan. Neetu Chandra, who flew to Cyprus for her first Greek film during the shoot of Aadhi Bhagavan, is yet to complete one sequence in the film. In the meanwhile, Jayam Ravi, the male lead of the film began shooting his next film. The makers are now finding it difficult to get a combined free date from the two stars. The film was rumoured to see Jayam Ravi play double role, of which one would be a transgender. But in a recent interview Ameer denied the story and said that Jayam will be seen donning several attires, as he plays a CBI officer (we are guessing it's undercover). The director also revealed that the narrative begins in Andhra, which then travels through Bangkok and Mumbai and finally ends in Goa. The stage is set, and Thala fans are in for a treat. With Billa II hitting screens early tomorrow morning, can Ajith recreate his Mankatha madness of last year? Even as his fans nod a big yes, the makers are equally confident too! Suni Kheterpal, one of the producers of the much-anticipated Billa II, says casting for this Ajith flick was a meticulous process. "As the Film travels across Tamil Nadu, Goa and Eastern Europe, we worked on characterization of lead actors and then picked up the best available for specific roles. That's why, you will see Cast from Tamil, Telugu, Malyalam and Hindi film industries in it. Hand-picking crew was relatively easier though. We knew what kind of action was required and then went out to get the best guys possible," he says. He concludes, "The audiences are in for a treat. Anyone who loves Ajith, action, the Billa franchise, style, rawness and novelty is going to go in for repeat viewing." 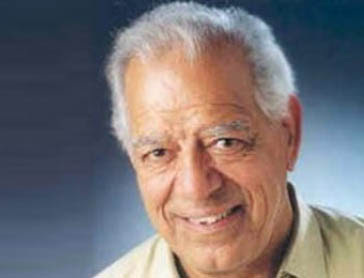 Wrestler and popular actor Dara Singh passed away at his residence in Mumbai today morning. He was 84. Dara Singh, who owns the Dara Studio at Mohali, has also directed a number of films. Some of the films that he had directed included Unkhilli Muttiar, Rustom, and Mera Desh Mera Dharam. He has acted in several films like Jab We Met, Dillagi, Guru Gobind Singh, and Ramu Ustad. For many, Dara Singh is the real-life Hanuman as he became immensely popular among kids for his role as Lord Hanuman in the television series Mahabharat telecast in 1988 and in Ramayan. Top10cinema offers its heartfelt condolences to the bereaved family. May his soul rest in peace.